Act NOW To Get AdReel For A Low ONE-TIME Cost! I realize my investment is completely covered by your 14 day money back guarantee. "I made $1,000 in one day with AdReel. 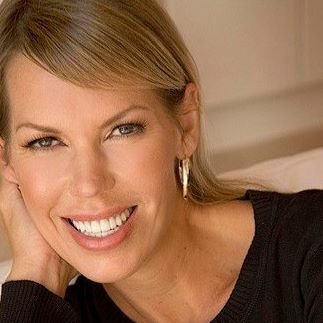 I am a single mom with two kids and I'm so excited about AdReel." 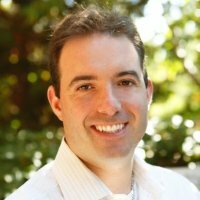 "AdReel has let me close an $800/mo deal with video ads." Very flexible, very concise and straight to the point." "You can have a slick attention-grabbing video ready to be deployed in less than 5 minutes. If you do Facebook video ads this is the perfect tool"
"I've been testing AdReel for a month. Here are the results from one ad for a download lead magnet for a high priced training program in a specialized niche. Image ad cost $27/lead Adreel ad cost $7/lead. Amazing!" Each animated video AdReel creates runs between 15 and 39 seconds. Why? That’s the OPTIMIZED time frame to turn prospects into leads & buyers. Your AdReel messages will turn more prospects into leads and customers than ANY other type of ad … for much lower cost. Use your AdReel software to deliver animated ads as a service … no special licensing required. This is a massively UNTAPPED market, and here’s your chance to be one of the first to offer conversion services businesses desperately need. Then collect your fees - no one has to know it little time it takes! "I’ve been doing websites and video production for about 10 years now and I’ve never seen any video software as easy as this is to use." "AdReel is the ideal solution I’ve been looking for, two standout features - done for you animation templates and niche video scripts - set it apart as the true standard-bearer"
The AdReel templates already include images, but to give you even MORE customization options we’re adding this bonus. So you can create practically unlimited, completely unique ads in any niche. This huge image library will let you create even more fresh designs for top converting ads across multiple niches. We’ll walk you through how to quickly set up low cost, top converting ad campaigns on FB … even if you’ve NEVER done it before. Perfect for both complete beginners AND current FB marketers looking to optimize their campaigns. Inside this training you will learn exactly how to set up YouTube Ads so you can quickly and easily deploy your AdReel videos on YouTube and start getting traffic. How is AdReel different from other video creation softwares? 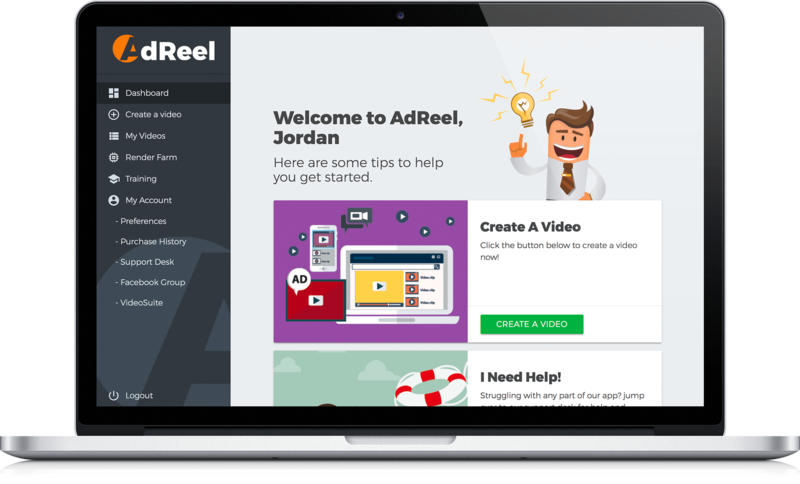 AdReel is MUCH more than a video creator - it’s an all-in-one income system that puts you in front of the internet’s highest converting traffic. Use it to increase profits on your own offers, AND to sell as a service to clients. AdReel creates animated video ads that are the highest converting ad styles in the industry. The included templates and automated script generator mean YOU get top converting videos for your niche in minutes … with ZERO experience needed. Why Are Animated Videos Better Than “Regular” Videos? Animation increases engagement, which increases conversions. This video style is proven to increase the number of viewers that take ACTION on your offers. All for lower cost in terms of both production AND advertising cost. How can AdReel help me get more leads and customers? Video is 12X more likely to be watched than text is read. Not only is your message seen by more people, it’s also EASIER for them to understand. Result? Massive increase in conversions. Can I Use My Own Scripts, Images And Music? Of course! Everything inside AdReel is customizable. Use our script generator as is, for inspiration, or not at all. Same with the included images and soundtracks. We include step-by-step training right inside the dashboard so you’ll be up and running fast. If you ever have questions, our friendly support desk is just a click away. In no way is FaceBook™ affiliated with AdReel. Once you leave Facebook or their partner networks you are no longer a part of their terms of service. Every effort has been made to accurately represent the product(s) sold through this website and their potential. Any claims made or examples given are believed to be accurate, however, should not be relied on in any way in making a decision whether or not to purchase. Any testimonials and examples used are exceptional results, don't apply to the average purchaser and are not intended to represent or guarantee that anyone will achieve the same or similar results. Each individual's success depends on his or her background, dedication, desire and motivation as well as other factors not always known and sometimes beyond control. There is no guarantee you will duplicate the results stated here. You recognise any business endeavour has inherent risk for loss of capital. Basically, we can't force you to take action, so therefore we cannot promise success. Disclaimer: We do NOT believe in get rich quick programs. We believe in hard work, adding value and dedication to reach your goals. It's a fact that one that does not take action will see no results whatsoever. The results featured on this page are not the norm and are extraordinary results from hard work, commitment and dedication by following through and taking action. You will get no results whatsoever if you assume by soaking up information products, joining program after program your life will change with riches. This is not for you. Your results are based upon your actions. If you want a magic button that will fulfil your life with riches then please leave this page and do NOT purchase. Our products are intended to help you share your message with the world whilst growing your business. We don't make any guarantees about your own results because we don't know you. Results in life are solely based on decisions made. We are here to help and guide you to move forward faster by giving you awesome content, direction and strategies to reach your end goal. Please check the content thoroughly on this page and that you are committed to taking relentless action and will put in the effort before you decide to make a purchase. If not then please leave this page and do not purchase. This product does not guarantee income or success, and examples of the product owner's and other person's results do not represent an indication of future success or earnings.